Greenville Triumph SC’s Edmundo Robinson has been suspended for one game for unsportsmanlike behavior following the review of an incident in his side’s game against Lansing Ignite FC by the Independent Discipline Panel. Robinson will be unavailable for Greenville’s game this Saturday against Chattanooga Red Wolves SC. 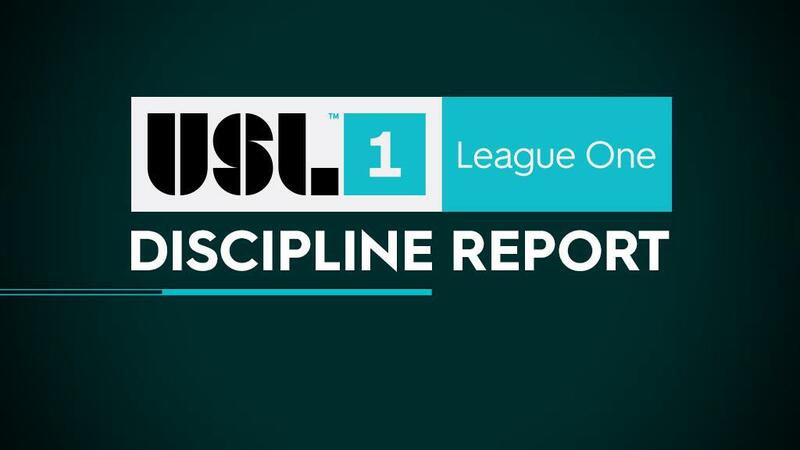 Lansing Ignite FC’s Robinson Moshobane and Ricardo Perez have each been suspended for one game following their red cards for two cautionable offenses on April 6 against Greenville Triumph SC. Both Moshobane and Perez will be unavailable for Lansing’s game this Saturday against the Richmond Kickers. Orlando City B’s Emmanuel Hagen has been suspended for one game following his red card for two cautionable offenses against Toronto FC II on April 5. Hagen will be unavailable for OCB’s game this Sunday against South Georgia Tormenta FC. Greenville Triumph SC’s Cole Seiler has been suspended for one game following his red card for two cautionable offenses against Lansing Ignited FC on April 6. Seiler will be unavailable for Greenville’s game this Saturday against Chattanooga Red Wolves SC.